Sony Ericsson has a problem: The smartphone market is flooded with Android devices of all possible descriptions and your average consumer would be hard pressed to pick out the differences between a Galaxy S2 and a Sensation. So how does Sony Ericsson get people excited about a new touch screen device, that really does look like so many other devices on the market? Judging by the latest press shots of their upcoming line of Android phones, their solution is simple: less is more. We've seen this tactic before. Be it with industry defining devices like the Galaxy Nexus or with massive flops like the Grid 10, if you want to create some major hype give 'em as little information as possible. Sony Ericsson is the latest company to try the minimalist path to advertising glory. We already know that they are planing a big release for the upcoming CES in Las Vegas, but what, exactly, they are planing to launch is still unclear and their latest close-up shots of their new product line tease with details but reveal nothing. Are we looking at an Xperia Arc HD a.k.a the Nozomi? Or could it be an Xperia Ion– Sony Ericsson's most recent trademark request? We don't know? 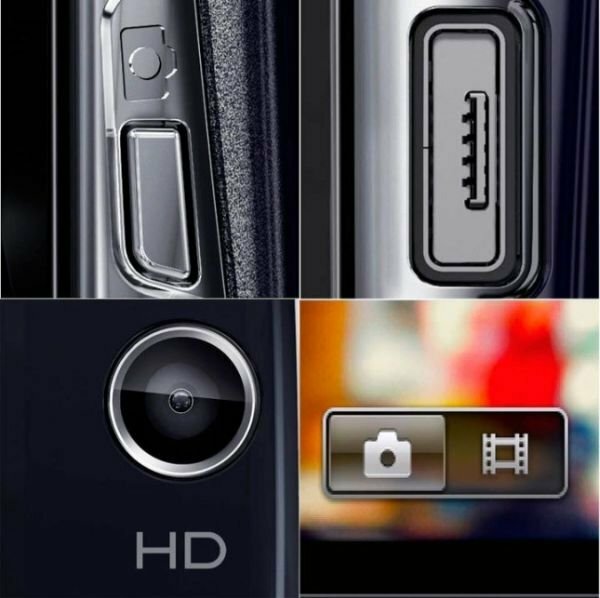 What we do know is that whatever it is, the Android handset features a hardware button for the camera, a USB port and HD video camera. Nothing too revolutionary there. Of course, they're getting us to report about their latest project so their strategy is paying off, but will this ad. Push generate the same hype with the public? The Galaxy Nexus' add campaign worked so well because of that wonderfully composed initial picture with showed off the curved screen on the Galaxy Nexus–a unusual feature in and of itself– and nothing more. By emphasizing the unknown, Samsung's PR team created a wonderful synergy of interest and mystery but with such bread and butter fare as camera button and USB ports, I'm not sure if Sony Ericsson is hitting the mark. In any case, we expect to know more after the Consumer Electronics Show gets underway next week in Las Vegas. AndroidPIT's own Fabi will be on location bring you all the latest from the future of Android so check back for all the latest. Hmmm that is true but I'm betting they stick to Android with this handset. Call it a hunch. New Sony Windows 7.5 phone...The colors behind the camera and video icon match very closely to the Windows Phone Mango OS.